Lights that can change as your mood does? It's possible! The LED lights under the couches are capable of changing colors, from warm white to cold blue, purple, pink, red, orange, yellow and green. 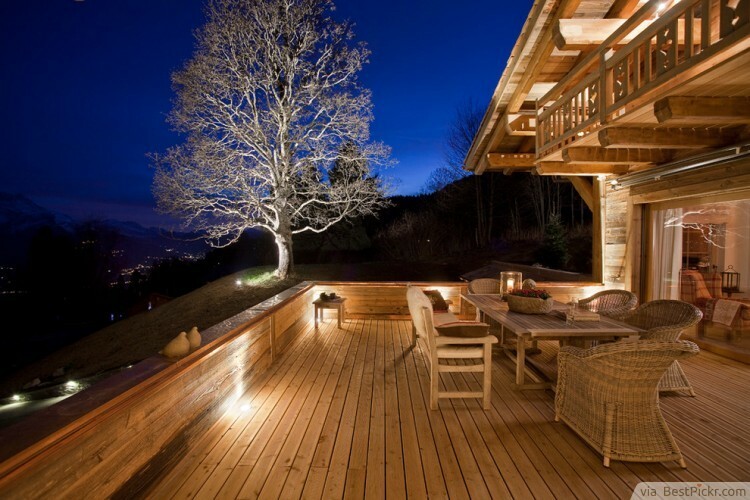 It means that your deck or patio can be warm or cold depending on your selected hue. This particular design, albeit colorful, is very sophisticated. 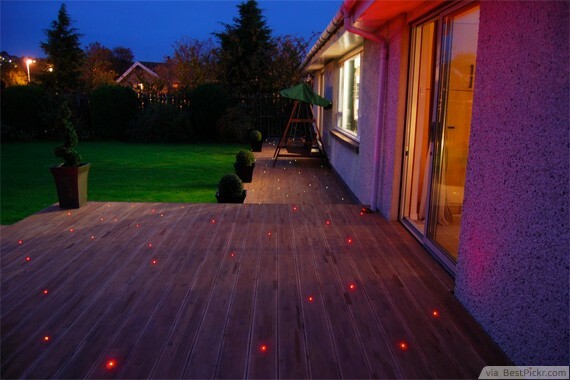 Ideas to light up the deck are hard to come by, but if you want your guests to catch stars, why not place them on the floor? These stars do not use electricity, so it's perfectly safe even when it rains on your party. Yes, this design may be far from functional, but the wow factor is so solid that your guests will most likely praise you for it. 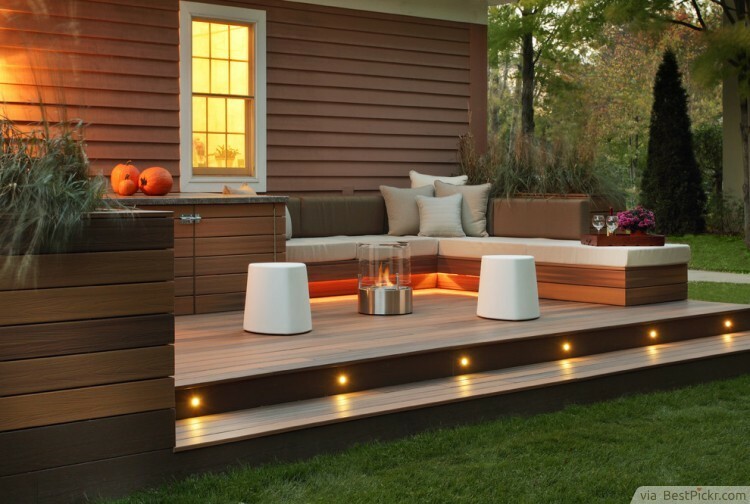 The beauty of your deck and patio is mostly only appreciated during daylight. 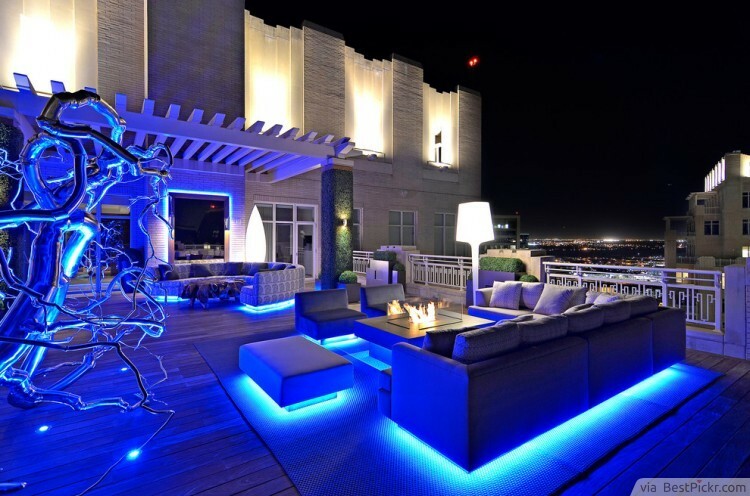 Thus, if you want to extend the outdoor fun way after sundown, you must choose a stylish lighting. 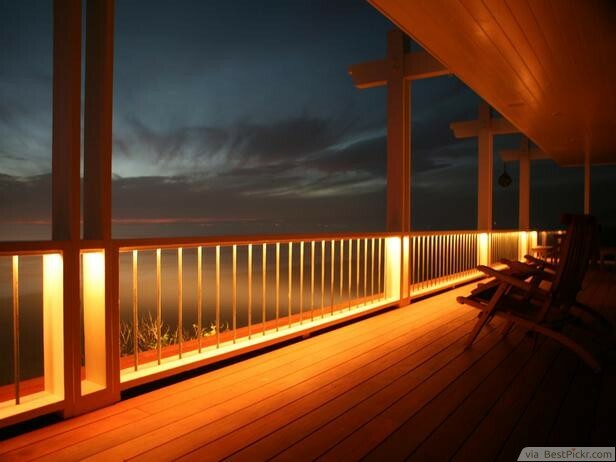 Illuminating the deck by installing subtle railing lights is one great option, especially if your eyes can feed on the sight of the open sky. If one is not enough to light up your deck or patio, nothing is wrong with putting as many classic light bulbs as you can! 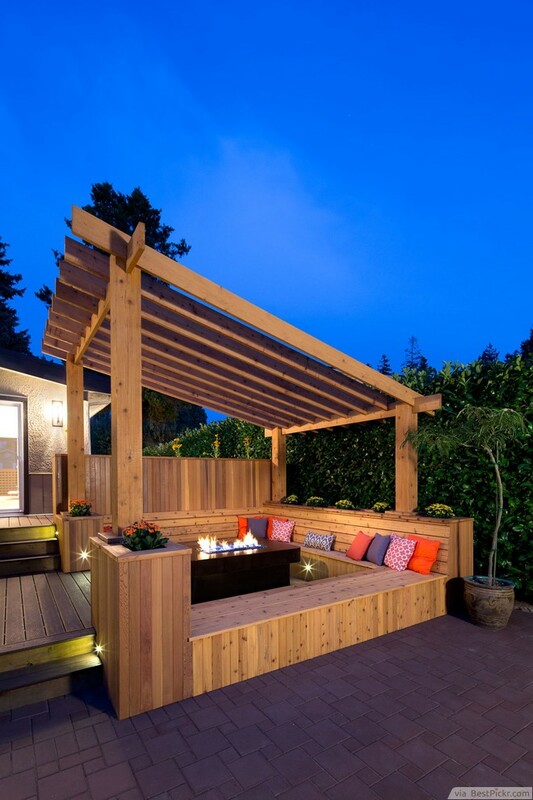 Ideas such as this one are not only functional, they also become an integral part of the outdoor design. The homey feeling that comes from the warm ambiance will definitely make your guests feel welcome. 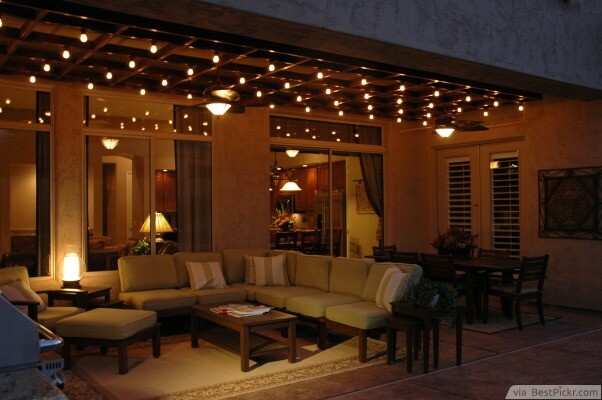 Another stunning outdoor patio idea is to light your deck or patio with easy-to-install LED lighting. Placing them on the steps will make them both decorative and functional. To add a certain glow under the couches, try using rope lighting. Lastly, accentuate the bronze atmosphere with bold-colored flowers on the side. 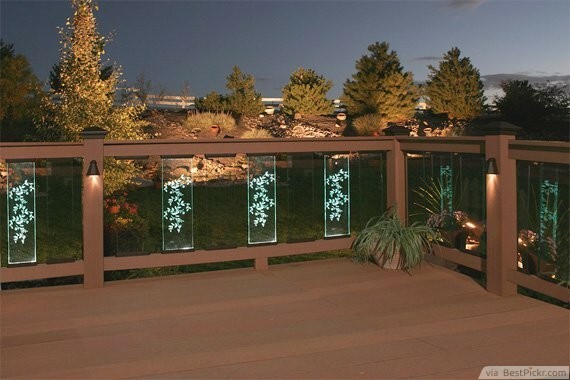 The up and down lighting on the garden pillars emphasizes the natural ambiance of the deck. Using deep blue pillows on the sleek sofas gives the eyes something solid to look at every once in a while. 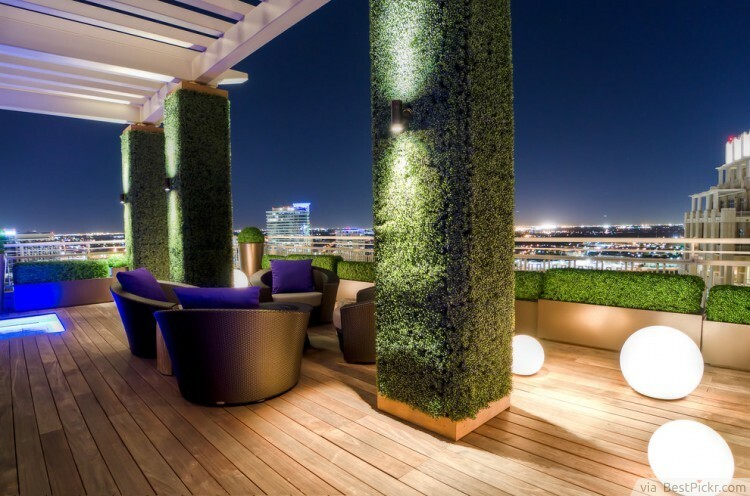 The magnificent lighting globes together with the impressive skyline give this deck design idea a modern, yet warm atmosphere. From the ground up, you can see the beauty in this deck's simplicity. The cedar wood used for the pergola, and the benches are natural and untreated. There are no glaring spotlights, instead there is a modern-looking fire pit. It is also a proof that colors in patio and deck design can be added through accent pillows. It does not always have to be lamps and bulbs, sometimes glasses can be used to light up the night. These elegant safety glasses have stylish LED lights in them. 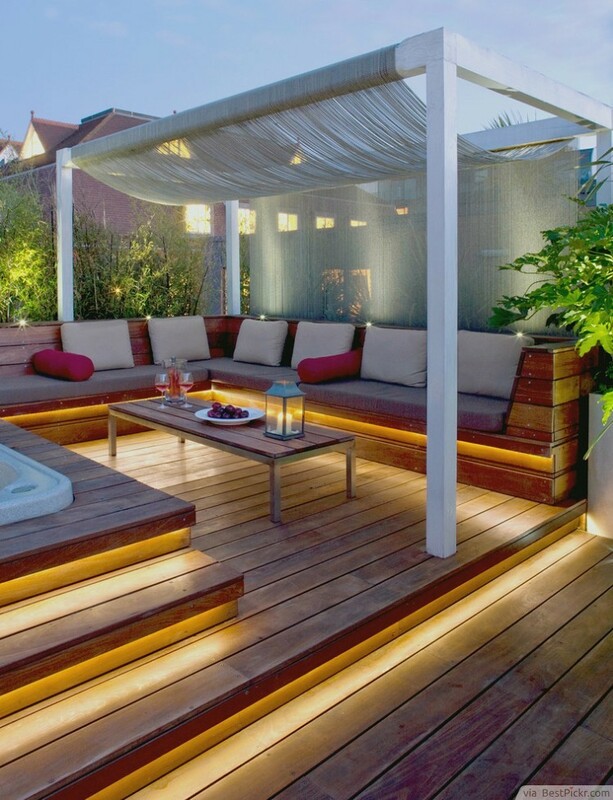 Adding them in your deck decor will give a modern touch to the neutral wooden ambiance.